Join Jim Waggener in his ongoing natural resource surveys at two of Northern Virginia's best birding spots. Surveys alternate between Occoquan Bay National Wildlife Refuge and Meadowood Special Recreation Management Area on Mason Neck. From April through October, surveys are conducted primarily for butterflies and dragonflies at those two locations and two others—Occoquan Regional Park and Julie J. Metz Memorial Wetlands Preserve. Contact Jim for more details or to reserve your space. The National Audubon Society invites all Auduboners to join its e-activist network. When you subscribe to the Society’s newsletter, you'll receive alerts about important congressional actions and information about how you can affect legislation by contacting your members of Congress. We also need passionate volunteers across Virginia who can help persuade elected officials to support actions designed to reduce greenhouse gas emissions. If you would like to help make a difference with climate change and other important issues, please contact Glenda Booth. To volunteer or for more information, contact the ASNV office. I have just returned from a trip to Chukotka, in northeastern Siberia, including a several days on Wrangel Island, a UNESCO World Heritage Site about 70 miles north of the Siberian mainland. One of the most remote locations in the world, Wrangel Island is accessible by sea only two months of the year, and even then only by ice-fortified ships. Three to four Russian rangers live there year round, and a handful of other rangers and scientists spend summers there, living in dilapidated shacks and cabins without electricity or running water. About 300 people visit Wrangel each year. I was struck by how interconnected it is with the more populous portions of the world despite its isolation. Birds connect us: Participants in the trip watched long skeins of Snow Geese honking and whistling as they flew south. 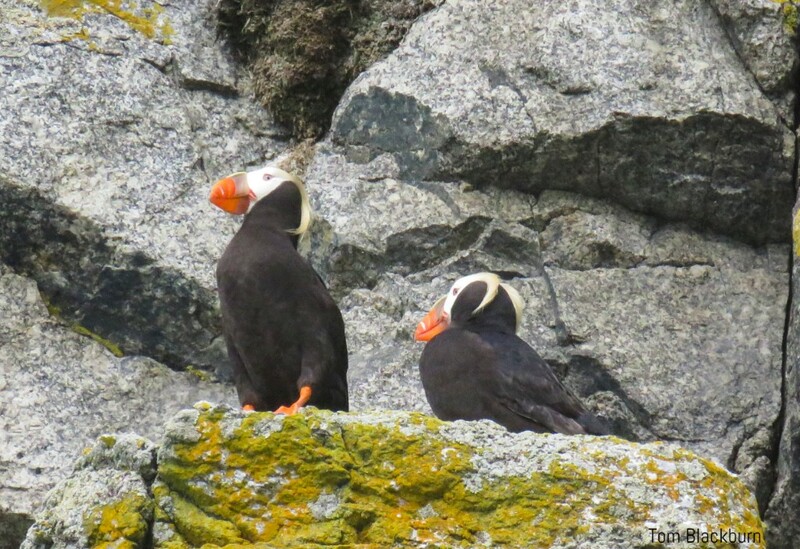 More than 300,000 live and breed on Wrangel Island and winter in western Canada and the northwestern United States. We also saw flocks of Sandhill Cranes, bugling as they flew to a staging ground on southern Wrangel, from which some 30,000 birds will migrate as a single group across the Bering Sea and scatter across North America for the winter. A biologist we spoke to said that witnessing that mass migration is one of the most memorable moments of his life. Some of us will see these birds this winter in the United States. One evening we took small boats along a series of cliffs, where we watched hundreds of thousands of Horned Puffins, Tufted Puffins, Common Murres, Pelagic Cormorants, Black-legged Kittiwakes, and other birds perched on sheer cliffs, incubating eggs, feeding young, paddling and diving in the water, and wheeling in the sky. 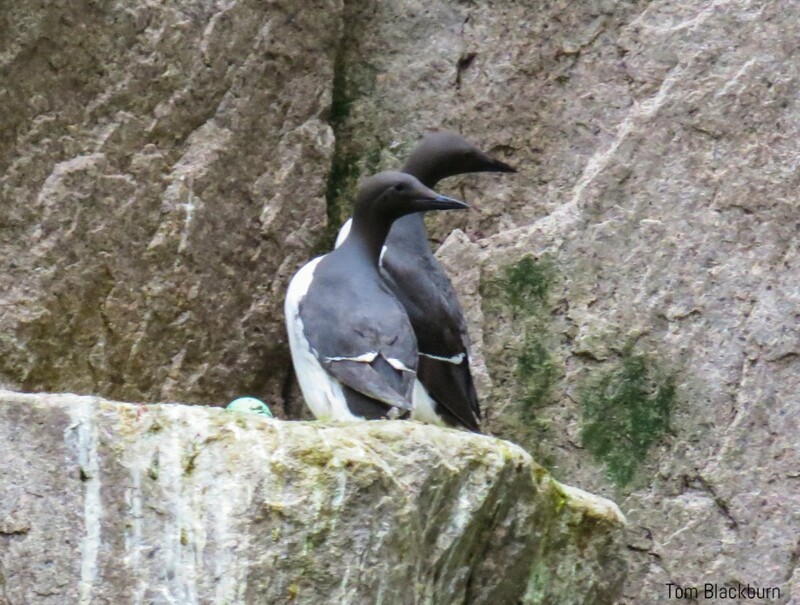 All of us—birders and non-birders alike–were overwhelmed by the breathtaking spectacle. Plants connect us: Despite its location above the Arctic Circle, many of Wrangel Island’s plants are closely related to ours. We found forget-me-nots, oxeye daisies, thrift, monkshood, and other plants whose close relatives we recognized from our own gardens, as well as flowers and other plants unique to the Russian tundra. Conservation connects us: Wrangel Island is a Federal Strict Nature Reserve, the most strictly controlled category of Russian conservation areas, where practically all human activity other than scientific research is prohibited, and tourists are permitted only with special permission. It is reassuring to know that Russia has demonstrated a commitment to preservation of this unique natural area. Our actions connect us: What we do at home has wide-ranging impacts on isolated areas. Despite their remoteness, Wrangel Island’s beaches are littered with trash. Plastic bottles, remnants of fishing nets, and sheets of plastic appear with disappointing frequency. We saw a bright blue Crocs clog on an ice floe, far from any place where Crocs would normally be worn, and the lining of a hard hat on another floe. Russia introduced non-native musk oxen to Wrangel Island many years ago, and the growing herd now competes with snow geese, grazing on land where the geese breed. And of course, climate change has made tourist trips to Wrangel Island possible. In past years, the likelihood of impenetrable sea ice was too great to justify trying to make the trip. Nature is wonderfully restorative, regardless of whether you experience it in your backyard or in one of the world’s remote areas. Take time to enjoy to it. And while you do, bear in mind that you are connected to the entire planet, that you and all the rest of us are responsible for preserving it. The fossil record indicates that owls originated more than 60 million years, probably about the time dinosaurs went extinct. The world is home to 220 to 225 living owl species, depending on which taxonomist you ask. Most owls feed on small birds and mammals, though some are specialists at preying on fish. A nesting pair of Barn Owls may consume some 3,000 rodents while raising their young. Males catch food for themselves, their offspring, and their mates, which stay on nests while incubating eggs and caring for young; if food is scarce, however, the male eats first. Most owls are active at night (nocturnal) but some are active by day (diurnal). 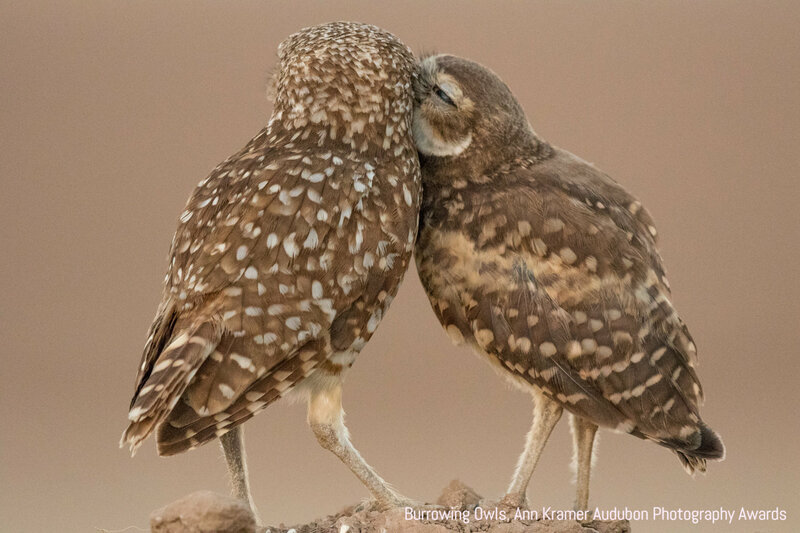 One diurnal owl is the Burrowing Owl, often associated with prairie dog towns in the West, where they can be seen bowing politely to one another on the mounds surrounding prairie dog holes. Night-hunting owls are the stealth bombers of the bird world, equipped with large eyes specially adapted to seeing in darkness, and with ears structured to pick up the slightest sound, giving them advantages over their less acutely equipped prey. The feathered disks around the eyes of owls help to funnel sound to the ears, and owls can move the feathers to accentuate sounds. The eyes of owls are placed side by side in the skull, giving the birds excellent depth perception highly useful for zeroing in on prey. Adaptations in the neck bones allow owls to turn their heads 270 degrees, giving them a wide field of view. Owl flight feathers have fringe-like or serrated edges that muffle the sound of flying, allowing them to sneak up on prey. Owls regurgitate indigestible parts of their prey, such as bones and teeth, in pellets that biologists can use to study owl eating habits. The world’s smallest owl is the Elf Owl, about 5 inches long and weighing 1 ounce. Two species are rivals for largest species: the Eurasian Eagle-Owl and Blakiston’s Fish Owl, both of which can measure up to 28 inches long and weigh in excess of 9 pounds; however, the great gray owl is longer, at up to 33 inches, so some birders contend that it is the largest owl species, though it is roughly half the weight of the other two. To learn dozens of more things about owls, attend the ASNV Audubon Afternoon program “A Year in the Life of an Owl,” Sunday, September 30, in Reston. The program tells you what owls in Virginia are doing from January through December, including courtship, nesting, raising young, fledging, and dispersal of young. You also will have the opportunity to meet live owls up close in a kid-friendly environment. For more information, click here. Monarchs and their amazing migration to Mexico are in peril for many reasons. 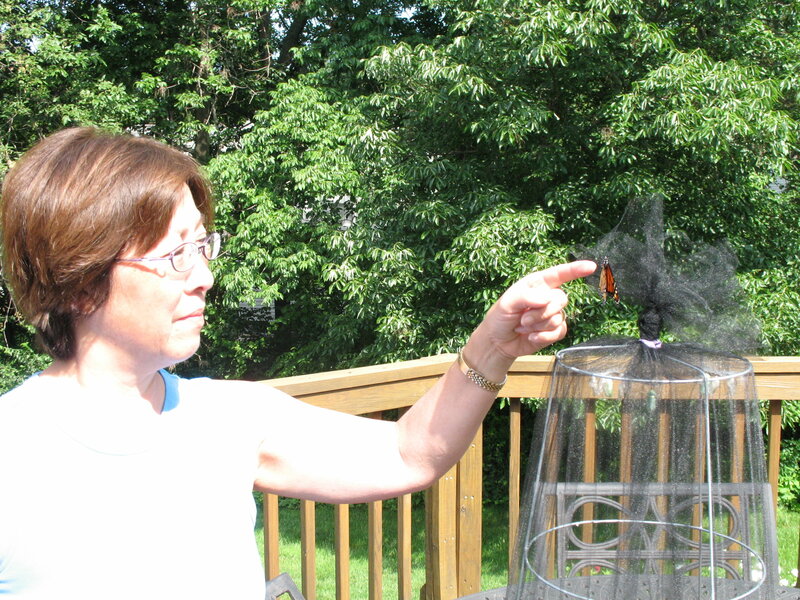 Learn about the mysterious monarch life cycle and migration at an ASNV class September 22, 1 p.m. to 3 p.m., at the National Wildlife Federation Building in Reston at 11100 Wildlife Center Drive. Also learn how you can attract them to your home garden or favorite public space and how to raise them to send them on their fall journey. Resources for milkweed and garden design also included. The class will be taught by Georgina Chin, an instructor with Monarch Teacher Network. For more details on signing up, check out the ASNV website. Are you new to the world of birding? Not sure if the bird in your binoculars is a warbler or a sparrow? Then we have a class for you: Beginning Birding Workshop, Thursday, October 4, with ASVN board member and photographer Dixie Sommers. Focus your binoculars on the ASNV website for more information in the next week or so. The class is designed for adults and includes two field trips, one on October 6 and one on October 13. For more details on signing up, check out the ASNV website. Don’t be afraid of the little green jobs! The workshop will focus on the field marks of fall warblers that typically pass through our region, with an emphasis on species that change appearance greatly between spring and fall and on species that are most often confused with one another. Marc Ribaudo is an avid birder with over 40 years of field experience. He regularly leads trips for the Northern Virginia Bird Club and Friends of Dyke Marsh. For more details on signing up, check out the ASNV website. Identifying shorebirds in the field is one of the more challenging activities for birders. Interest in meeting that challenge must be keen, however, because a recent ASNV class in shorebird identification, held at Fairfax High School August 16, sold out all seats. Participants honed their skills as Marc Ribaudo, an avid birder with more than 40 years of field experience, used projected photographs and a laser pointer to highlight the anatomical features used to identify the most difficult species, including differences in breeding and non-breeding plumage. He also featured distinguishing behaviors of adults and juveniles. The class ended with a discussion and quiz. 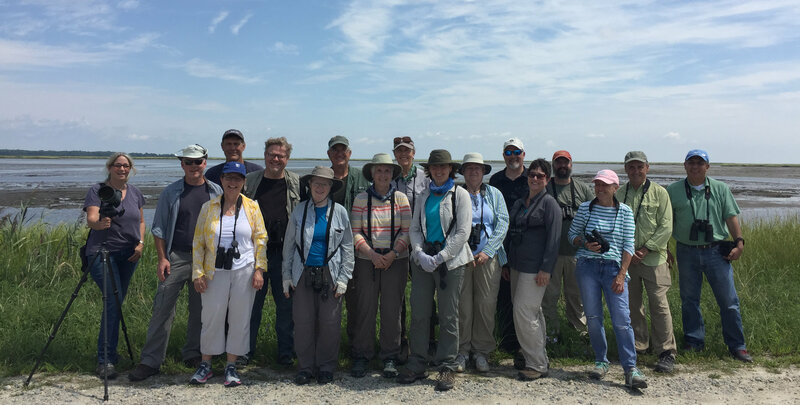 Two days later, participants exercised their new skills during a trip to Bombay Hook National Wildlife Refuge, on the edge of Delaware Bay. Field trip sightings started at the visitor center, where the class tallied Bobolinks, Purple Martins, Indigo Buntings, and the calls of Northern Bobwhite. On the Wildlife Drive, participants focused binoculars and spotting scopes on shorebirds feeding at a leisurely pace in shallow waters and on mudflats, including Long-billed Dowitchers and Short-billed Dowitchers as well as three sandpipers—Semipalmated, Western, and Least. The class also observed Greater Yellowlegs, Lesser Yellowlegs (many), Stilt Sandpipers, Killdeer (heard only), American Avocets, Semipalmated Plovers, and Black-bellied Plovers. Various pools provided ample views of several non-shorebird species, including Green-winged Teal; Clapper Rail; Forster’s and Caspian Terns; Great, Snowy, and Cattle Egrets; Black-crowned and Yellow-crowned Night-herons; Northern Harrier; and Blue Grosbeak. The class counted 68 species total, with a lone, seasonally rare Snow Goose capping the success of a highly educational and enjoyable experience. For class members interested in further sharpening their skills, Marc recommended continued study with The Shorebird Guide by Michael O’Brien, Richard Crossley, and Kevin Karlson. Sign up soon for ASNV’s eight-day, seven-night birding adventure in Panama, including two nights at Canopy Tower, three nights at Canopy Lodge, and two nights at Gamboa Rainforest Resort. Details of the trip, including itinerary, pricing and other information, can be found at: holbrook.travel/asnv-pn19, where you also can download the trip brochure and sign up for this birding adventure. Contact Gerry Abbott (gerry@gerryabbott.net) if you have questions. With more bird species than any other Central America nation, and with diverse ecosystems ranging from rainforest to coastline, Panama is a perfect destination for bird and nature lovers. 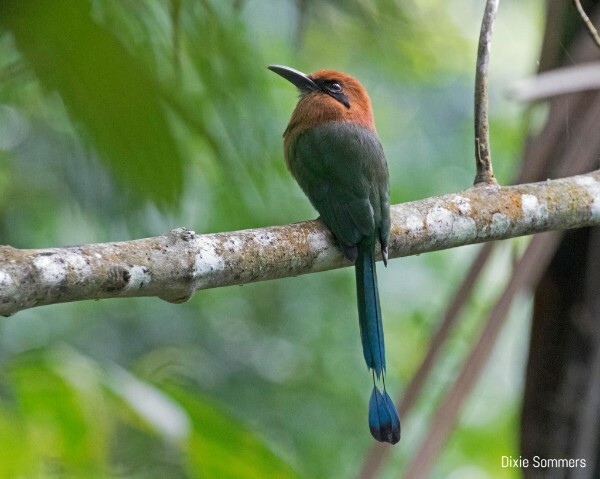 Accompanied by an expert local birding guide, you’ll discover Panama’s tropical ecology and biological diversity while learning about current efforts to protect the country’s important wildlife habitats. Visit many well-known birding trails, woodland habitats, tropical rainforests, and the iconic Miraflores Locks at the Panama Canal. Explore Soberanía National Park, home to 525 bird species, and hike the world-famous Pipeline Road. Seek out target species such as the Blue Cotinga, Snowcap, endemic Stripe-cheeked Woodpecker, raptors, tanagers, and more. Ascend a 130-foot tower for an eye-to-eye look at species seldom seen below the rainforest’s canopy layer. Visit the Panama Rainforest Discovery Center and watch for the 14 hummingbird species that observers have recorded at center feeders. The Big Sit! is an annual, international, noncompetitive birding day sponsored by Bird Watcher's Digest and Swarovski Optics. This family fun event was founded by the New Haven (Connecticut) Bird Club to promote birds and the birding community. The Big Sit! is like a Big Day or a bird-a-thon—participants tally bird species seen or heard within a given time period. The difference lies in the limited area from which you make your observations. It’s called the Big Sit for a good reason—it’s like a tailgate party for birders. Bring a chair and your binoculars. Snacks will be provided. You also may go with us on a guided bird walk or participate in a kid-friendly activity. This event is FREE of charge and open to the public. We’ll be there from 8 a.m. to 4 p.m. on Saturday, October 13. You’ll find us at our assigned count circle by the pollinator garden located at the Mustang Loop Trail parking lot (intersection of Gunston and Harley Roads). In addition to recording all birds seen and heard, we'll also note any butterfly species! Also, a bird walk at 8:30 a.m. will start at the count circle. Watch a video that provides background about the Big Sit phenomenon. The Migratory Bird Treaty Act—One measure addresses incidental deaths (those caused as collateral damage during development projects) and would remove incentives for companies to adopt such protective practices as preventing bird deaths in oil waste pits or coal ash ponds. The Endangered Species Act—Efforts are under way to weaken the law’s science-based decision-making process. The Land and Water Conservation Fund—Some administration and congressional officials want to cut funding for this program, which has helped preserve wildlife habitat in most states, including Virginia. To learn more and to send your message to Virginia's members of Congress, visit https://www.audubon.org/takeaction. On November 6, Virginians will elect 11 members of the U.S. House of Representatives and one U.S. Senator. Many observers contend that the outcome of this election could change the party composition and leadership in the House and Senate, including several Virginia House seats. To find your congressional district, visit https://www.house.gov/. To find out what's on the November 6 ballot, visit https://www.elections.virginia.gov/casting-a-ballot/candidate-list/2018NovemberList.html. Check the candidates' websites or call their campaign headquarters for events, especially debates at which you can pose questions. Check your jurisdiction's elections office for absentee voting, registration, and other deadlines. Alexandria's Environmental Policy Commission is making recommendations to the City Council in an update to the Environmental Action Plan. The 2030 update is being done in two phases. This first phase is for short-term actions recommended within five years to FY 2023. Environmental Policy Commission recommendations are on the commission's website. You can send comments to Alexandria's sustainability coordinator at Eco-CityAlexandria@alexandriava.gov. Phase 1 recommendations cover these topics: energy, climate change, green building, solid waste, land use, and open space. How Did State Legislators Vote? One of our sister organizations, the Sierra Club's Virginia chapter, has published a scorecard that rates Virginia state legislators on conservation issues in the 2018 General Assembly session. Titled "Keeping Score," the publication explains that with challenges such as climate change and pollution, electing conservation-minded public officials willing to act on behalf of wildlife and habitat is more critical than ever. Check out how your state legislators voted at https://www.sierraclub.org/virginia/legislative-scorecard. To find your state legislator, visit http://whosmy.virginiageneralassembly.gov/ and enter your address. Join leader Tom Nardone on this mid-week walk past the Marina and along the woodland trail to the Boardwalk. Sponsored by the Northern Virginia Bird Club. Getting there: From Alexandria, take GW Parkway south. Cross I-495; continue 1.2 miles to Belle Haven Park entrance on the left. Meet at the south parking lot. 6401 George Washington Memorial Parkway, Alexandria, VA 22307. Riverbend Park is holding a series of walks this month. To register, call Riverbend Park at 703-759-9018. Friday walks meet at the park Visitors' Center, while Saturday walks meet at the Nature Center (rain or shine). The routes will vary with each walk, with gentle uphill and downhill stretches on slightly uneven terrain. Participants should be prepared to walk about 2 miles in comfortable, closed-toed shoes. Please bring your own binoculars if you have them. Getting there: Take Georgetown Pike (Rte. 193) to Riverbend Road (Rte. 603). In 2 miles turn right on Jeffery Road and go 0.8 miles to park entrance sign on right. Turn right and continue 0.5 miles to Visitor Center parking. 8700 Potomac Hills St, Great Falls, VA 22066. Can we spot fall migrants as we walk the park’s terrain? Sponsored by the Reston Association and The Bird Feeder of Reston. Getting there: Take Georgetown Pike (Rte. 193) to Riverbend Road (Rte. 603). In 2 miles turn right on Jeffery Road and go 1.5 miles to Nature Center parking area (Don’t turn right at Main Park entrance sign). The Northern Virginia Bird Club sponsors this Wednesday walk. Meet leaders Dixie Sommers and Larry Cartwright on the west (South Kings Highway) side to walk the paved trail through woods and fields to the marsh area. Getting there: From I-495 eastbound, take the exit to go South on Van Dorn Street. At the end of the road, turn left on Telegraph Road and then immediately right onto Kings Highway. Parking is on the right. Alternately, from Arlington, take Route 1 south 0.5 miles to South Kings Highway. Turn right (west) and go 2.5 miles to park entrance and lot on the left, just before Telegraph Road. Meet leader Kris Lansing at the bridge entrance to the Island, just off the main parking lot. The island has footpaths and boardwalk through wooded and marsh terrain. Sponsored by ASNV. Getting there: Theodore Roosevelt Island sits in the Potomac River near the Key Bridge. The only way to reach the island by land is from the Virginia side of the river, although the island is actually part of Washington, DC. Drivers can only reach Theodore Roosevelt Island from the northbound lanes of the George Washington Memorial Parkway. After Memorial Bridge, follow the sign to turn right into the parking lot. For metro riders, the island is a 15 minute walk from the Rosslyn Metro station. From the station, walk toward the Key Bridge. A short connecting trail leads downhill from the downstream side of the bridge, across the parkway, and into the parking lot at Theodore Roosevelt Island. This park offers woods, fields and wetland views. Will we see the American Bittern which has been a summer resident? Rick Purvis leads. Sponsored by the Northern Virginia Bird Club. Getting there: From the intersection of VA Route 28 and VA Route 7, travel west on Rt. 7 for 1.3 miles and turn right onto Loudoun County Parkway. Turn right on George Washington Blvd., then left on Riverside Pkwy. Bles Park will be on your right at the end of Riverside Pkwy. Join us to walk this lovely part of Reston’s wood-edge trails. Jenny Vick leads. Sponsored by the Reston Association and The Bird Feeder of Reston. Getting there: Take the Reston Parkway north from the Dulles Toll Road or from Baron Cameron Ave. Turn right on Bright Pond Lane and park around the cul-de-sac and along the street. Veterans Memorial Park, Woodbridge VA New Location!! Our kinglets and sparrows should be making appearances! Join the walk led by Dixie Sommers in this new location situated adjacent to the beautiful Marumsco Creek and Occoquan Bay National Water Reserve. Sponsored by ASNV. Getting there: Take I-95 South to exit 161 (Woodbridge; left exit) to Route 1 South. Continue south on US-1 for about 3 miles and turn left onto Featherstone Rd. In about 1 mile, follow Featherstone to the left; it will lead into Veterans Drive and the park. Park in the large lot on the left near the visitor’s center. The waterfowl should be starting to return. Enjoy the crisp air on a walk led by Larry Cartwright. Sponsored by the Northern Virginia Bird Club. Getting there: Go South on I 95 to exit 163 to Lorton. Turn left onto Lorton Rd at the end of exit ramp. Go under second overpass and turn right onto Lorton Market St. (You will see Shoppers Food Warehouse). Go about 1.5 mile to traffic light at Rte. 1. Go straight through light (road name changes to Gunston Rd) and go about 1 mile to entrance on the right. Several parks in the area have established year-round weekly bird walks. These walks are not run by ASNV, but may be of interest to ASNV members. They can be found here. This store offers a 10% discount to current ASNV members, good on all purchases excluding optics and sale merchandise. When you visit, just tell them you are a member of ASNV and ask for the discount. Some plants respond to insect attacks by sending out volatile chemicals (think of the smell of new-mown grass) that waft across breezes and alert insect predators about a potential food source. The predators, including insectivorous birds, follow the scent and arrive at a buffet of plant-noshing insects. Biologists have long known that this behavior occurs in ecosystems such as forests, but according to recent research at the University of Delaware, it also occurs in agricultural fields. As a result, new strategies for controlling insect pests may take advantage of birds as allies in protecting crops while reducing the need for pesticides. In a cornfield, the researchers distributed artificial worms and dispensers that released a synthetic chemical that replicated the odors given off by plants when attacked. They found that the imitation larvae located closer to the dispensers had significantly more attacks from birds. Ivan Hiltpold—assistant professor in the Department of Entomology and Wildlife Ecology and one of the leaders of the study—says the results support growing evidence that foraging birds exploit chemical cues from plants. He added that this study marks the first field research conducted on volatiles in an agricultural setting. He adds that a more accurate understanding of their behavior will be critical when implementing pest-management programs benefiting from insectivorous birds. “Improving our understanding of how birds prey on insects would open new avenues in sustainable pest control,” he says—to the benefit of birds and crops. The next step for the researchers will involve monitoring the diversity of birds responding to these cues in agricultural, forest, and wetland environments over the course of a summer.